and my favorite API console." 25th Street Recording is a world-class music recording facility. Our studio is available to anyone interested in recording, editing, mixing, or mastering their music and film projects. 25th Street Recording was designed by award winning studio design firm Francis Manzella Design Ltd. All of the construction was contracted by Bay Area studio builder Dennis Stearns. 25th Street Recording features many specialized construction techniques that make it one of the quietest, best sounding studios in the world. Our recording spaces and control room feature beautiful wood floors and acoustic treatments made from reclaimed Douglas fir. Skylights fill almost every room of the studio with natural light. We have a large common area with kitchen and communal dining area. The setting is ideal for high profile clients, large groups, and corporate studio events. The studio is low-profile and gives clients a high degree of privacy when they are here. 25th Street offers 3 primary recording spaces, acoustically isolated, and designed for easy visual communication. 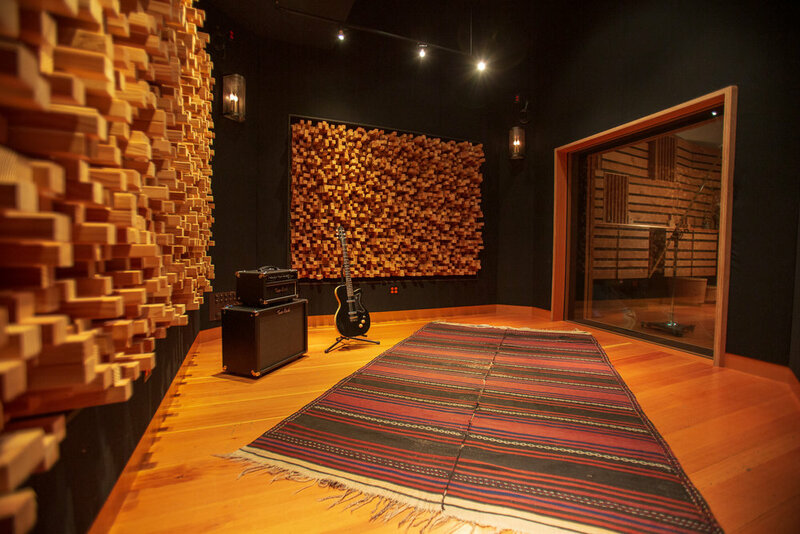 Our large, wood live room breathes ambient life into recordings and creates a sense of warmth and presence. This 1400 square foot room can be set up in a variety of ways to accommodate large setups including chamber orchestras for film scoring. Skylights in the ceiling flood the room with natural daylight. Iso 1 is our smallest ambient space. It's extremely versatile, often used for vocals, instrument amplifiers, and acoustic instruments. Producers and engineers enjoy excellent visual communication provided by the floor to ceiling windows during critical recordings. Iso 2 is a medium-sized recording space capable of holding a full drum kit, or our Steinway grand piano. The walls are covered with reflective wooden diffusion panels, which provides a natural and controlled ambience. Iso 2 is an amazing sounding room that works extremely well for any instrument. In addition to Iso 1 and 2, there are up to 6 additional spaces which are accessible via tie lines throughout the facility. Amplifiers, Leslie speakers, or other instruments that need to be acoustically isolated can be located in the Hallway, Vestibule, Musician's Lounge, Lobby, Edit Suite, and Mezzanine.